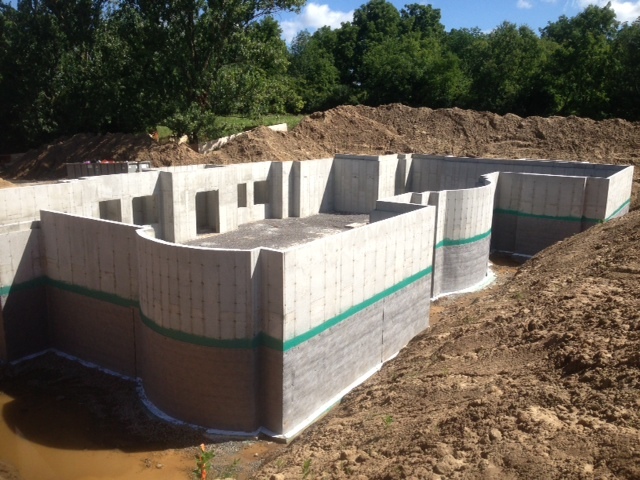 Geo-Wrap Drainage Composite | Advanced Coatings Inc.
Geo-Wrap is a high performance, high strength drainage composite consisting of a three dimensional, high impact polypropylene core and a non-woven filer fabric. 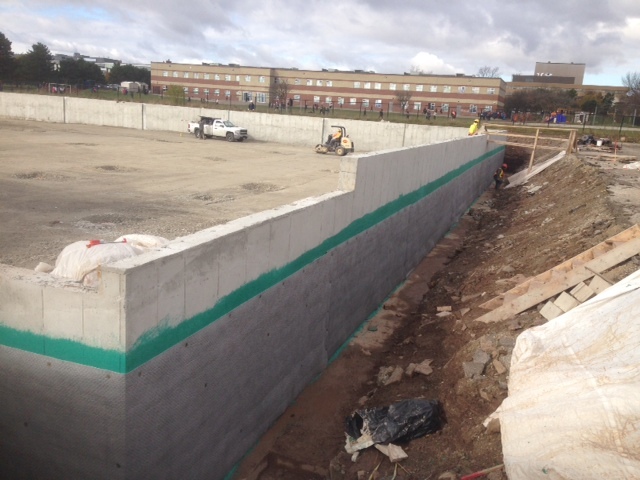 Geo-Wrap performs a multi-faceted role by providing protection for waterproofing systems and managing sub-surface water around building foundations. 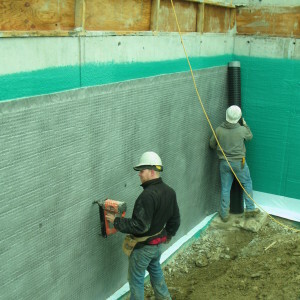 The non-woven filter fabric over the dimples creates an air gap for reliable ventilation and full surface drainage of water inflow from the surrounding soil. 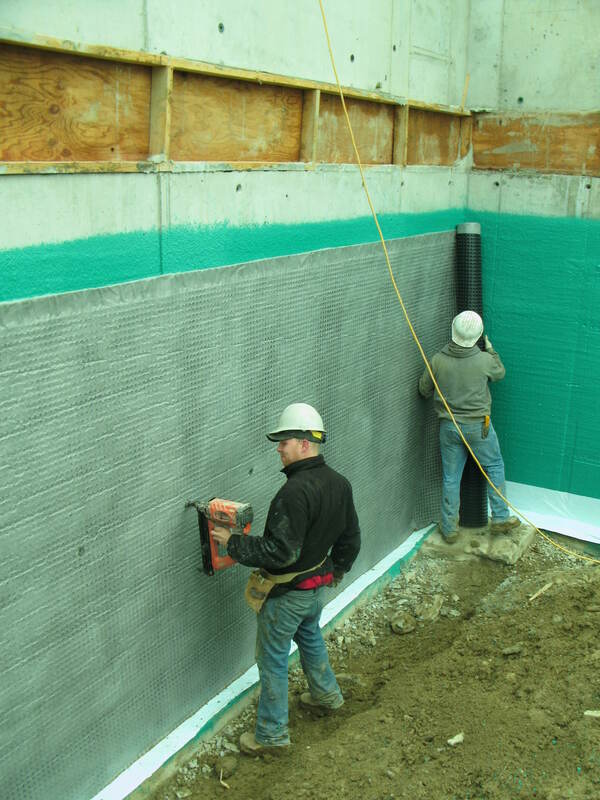 Geo-Wrap provides effective protection for a wide variety of application areas including foundations, retaining walls, planters, lagging systems, underground areas etc.